text messages - that were deliberately hidden from Congress - reveal that disgraced FBI employees Peter Strzok and Lisa Page conspired to meet with the Foreign Intelligence Surveillance Court (FISC) judge, Rudolph Contreras, who as we reported last December, "mysteriously recused" himself from handling the case against Michael Flynn, reports The Federalist, which has seen the text messages. Meanwhile, Strzok was one of two FBI investigators who took part in a January 24 interview of Michael Flynn - Trump's brand new National Security Director. Flynn later pleaded guilty to a charge of providing false information to the FBI - which was supposed to be heard by judge Contreras on December 1, 2017. Strzok, who went to work for Special Counsel Robert Mueller's investigation into Russian meddling in the 2016 election, was subsequently removed from the probe by Mueller after the DOJ's internal watchdog, Inspector General Michael Horowitz, discovered over 50,000 text messages between Strzok and Page which revealed anti-Trump / pro-Clinton bias, as well as an illicit affair the two were having. Of note, the pair worked at the highest levels on both the Clinton email investigation and the early Trump-Russia investigation until their removal from the Mueller probe. On December 5, 2017, Senate Judiciary Committee Chairman Chuck Grassley (R-IA) wrote a letter to FBI director Christopher Wray demanding the delivery of text messages from Strzok, along with notes from the Flynn interview. Two days later, Judge Contreras was recused from the Flynn case with no explanation - and it was reassigned to Judge Emmet G. Sullivan. 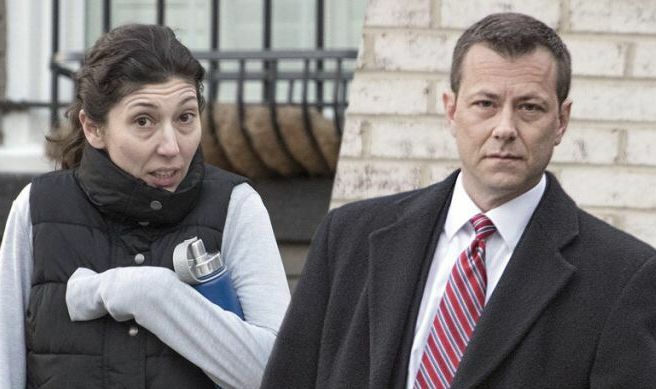 According to the newly seen text messages, Strzok and Page discussed setting up a cocktail or dinner party with Contreras so they could speak without arousing suspicion of collusion. "Strzok expressed concern that a one-on-one meeting between the two men might require Contreras’ recusal from matters in which Strzok was involved," writes The Federalist.